Volkswagen's vehicles aren't the best-selling product they make. Sausages or rather more specifically, Currywurst as they are called in Germany, are. 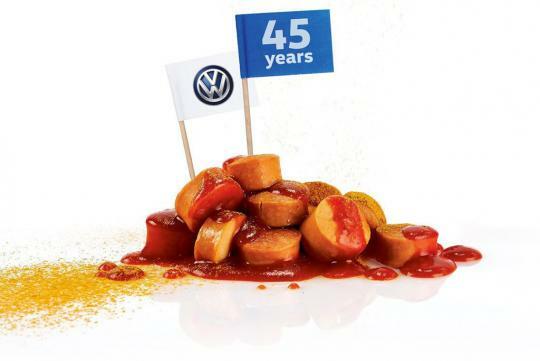 Made by Volkswagen by the tens of thousands daily, the German automobile manufacturer sold a total of 6.8 million sausages last year. That is more than the amount of cars Volkswagen (Other brands under the Volkswagen umbrella not included) sells in a year worldwide. Back in 1973, the sausages were made just for the workers in the company’s own factories to eat in their cafeterias. 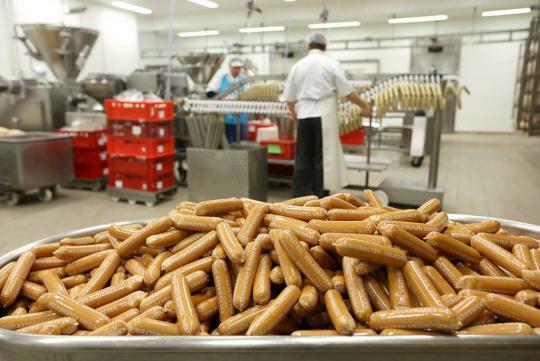 As the company celebrates its 45th year of making these sausages, they can be found in grocery stores and local dealers are known to give them out in five-packs as gifts to customers. Available also in a vegetarian version, the sweet and spicy sauages even have a proper part number - '199 398 500 A' for those who are interested.